Who else is all about the FOOD during Super Bowl? That’s me all the way – it doesn’t matter what teams are playing, all that matters is delicious game day food we can enjoy guilt-free! Since I don’t believe in a super bowl party without yummy desserts to snack on – we whipped up these delicious Mint Marshmallow Cookies really quick – in a blender! Contains affiliate links that help support this blog at no cost to you. See my disclosure policy for more info. Yes, you heard that right – blender cookies are my new crazy thing, and I love how easy it is! A few weeks ago I wouldn’t have believed you could make cookie dough in a blender, but when I received a Nutri Ninja® Auto-iQ Pro Compact System (for free to review) and tested out their dough blades, it was like magic! 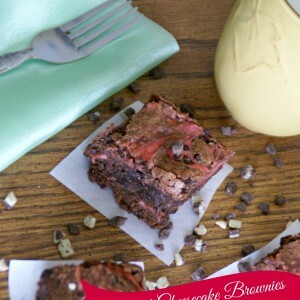 EASY to clean – seriously, the dough slid out and hardly any stayed in the blender! Anywho, this blender is AWESOME, and I’ve really enjoyed using it for my daily smoothies and many other fun recipes! Now on to these moist, creamy pudding cookies with just a hint of mint – topped with gooey marshmallows! Sounds delish, right? Well they are! 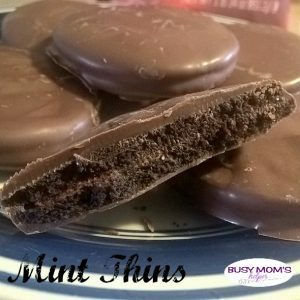 I adapted them from my mint pudding cookie recipe, but I love these tweaks to it! If you aren’t using a blender, just use a mixer to blend instead. Preheat oven to 350 Degrees F. Spray or line 2 baking sheets, set aside. 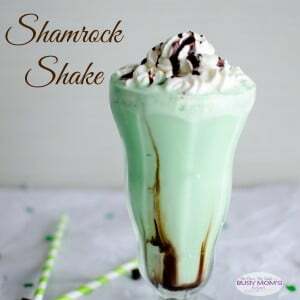 Add the butter, brown sugar, regular sugar, pudding mix, eggs, vanilla and mint extract together to the blender until creamy. Add the flour and baking soda and blend until well-combined. Add in the chocolate chips just until combined. Scoop the dough in 1″ balls, pressing down slightly, onto the prepared baking sheets. Bake about 6-8 minutes. 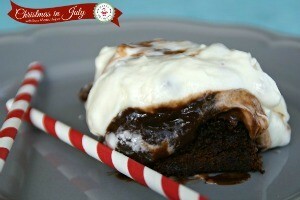 Top with a few marshmallows in the center, then bake another 1-2 minutes or until edges are beginning to brown. Allow to cool on sheets about 2 minutes, then remove to cooling racks. Enjoy these yummy pudding cookies along with your other game day foods! 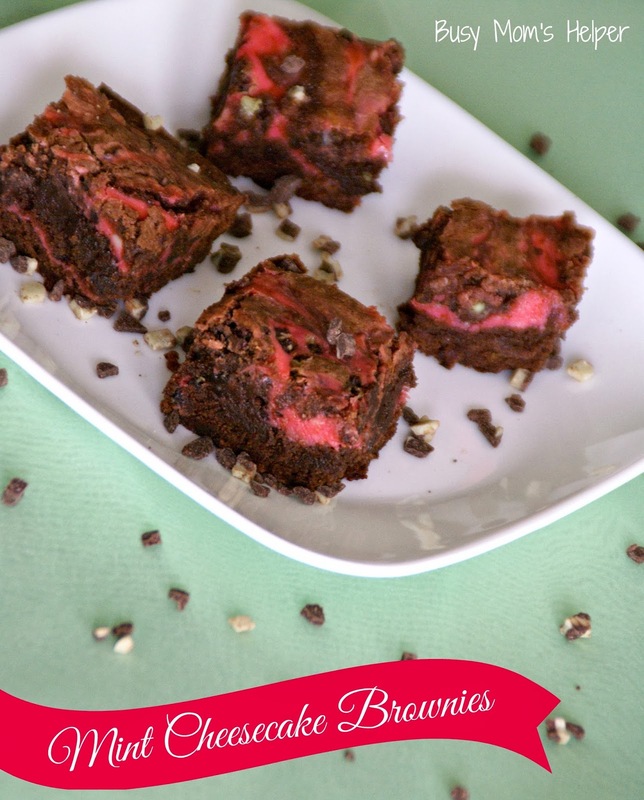 There have been SO MANY yummy holiday desserts all over the blogosphere lately, I just had to pitch in some of my favorites! 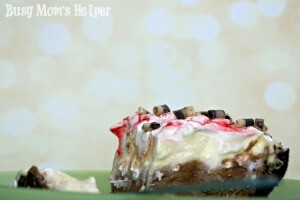 What better to start with than this classic Chocolate Peppermint Mousse Pie?! I really like peppermint all year….the scent, the flavor, the color…but around the holidays it’s EXTRA special! Mix it with chocolate (because that makes everything better, right?) and you’ve got this creamy, flavorful and festive pie to serve up for any holiday occasion! Note: I used a pre-made Oreo crust, but you can change it up! In a saucepan, melt the baking chocolate, 2 tbsp. water, butter and vanilla. Remove from heat and set aside. In another saucepan, whisk the egg yolks, 2 tbsp. water and over medium heat about 10 minutes, or until 160 Degrees F.
Combine both saucepans’ mixtures, then place over ice to cool, stirring often to keep it smooth. Fold in the whipped cream and spread over prepared pie crust. Place in fridge. Prepare the white chocolate pudding with the milk, as per package directions. 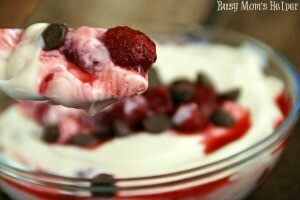 Beat the cream cheese until light and fluffy, then mix with the prepared pudding. Mix in the cheesecake pudding mix (don’t prepare it, use just the powder mix) and peppermint extract. Spread over pie and refrigerate at least 1 hour. Top your pie with whipped topping, crushed candy canes, crushed oreos and/or chocolate shavings and ENJOY! It’s Christmas-time, so I’ve been baking like crazy. Then, we had an ice storm and were stuck indoors for days, so of course I baked even more! My family is loving it, my waistline – not so much. 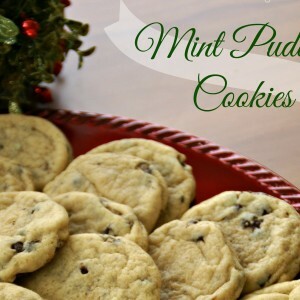 Anywho – one of the absolute FAVORITE recipes we’ve whipped up recently are these extremely moist, chewy and addictive Mint Pudding Cookies. Seriously, they were gone So. Darn. Fast! My hubby even begged me to make more (got the stuff, going to bake some more up tomorrow, and can’t wait)! Use a fork (or mixer) to ‘smoosh’ the Butter, both Sugars and Pudding together well. Add the Eggs and Vanilla and mix until combined. Then add the Flour and Baking Soda. Mix until well combined. Stir in the Andes Pieces. 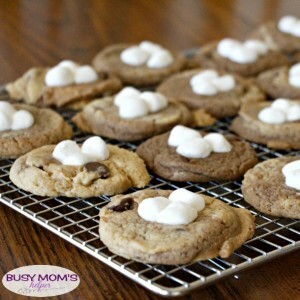 Take a sprayed baking sheet and scoop the cookie dough into 1″ balls. Slightly press down. Bake for 8-10 minutes, or until barely starting to brown on the edges. Remove, and ENJOY!!! Seriously, see if you can resist eating more than one. Not that you would want to limit yourself – they’re AMAZING!!! If I had to pick a favorite cookie, these would be it!